Intensify your home’s visual character with the Antigua Bay by Erin Ashley Painting Print on Canvas. Part of Art & Home’s wonderful Canvas Wall Art collection. From Canvas On Demand a stunning ‘Antigua Bay’ by Erin Ashley Art Print on Canvas. Antigua Bay by Erin Ashley. This proprietary canvas provides a classic and distinctive texture, while archival UV protectant inks make it scratch and fade resistant. The fabric base is flexible to support tight corners. As with her career, Erin Ashley’s paintings bring a fresh and often unexpected perspective to the world around us. This lovely piece is just one of the loads of remarkable furniture & decor products that the design team at Art & Home has hand-selected to help you decorate your home. To arrange this Art & Home has united with a select group of retailers & manufacturers of fine furniture and home decor to bring you some of the most delightful home decor & furniture collections available on the market today. 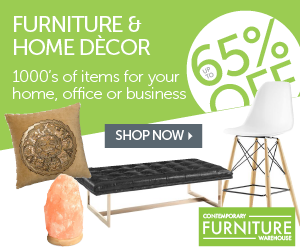 Through this and other relationships, Art & Home has made it its mission to provide you with access to scores of exquisite home decor products and save you the time & trouble of rummaging through dozens of different retail websites. From Persian Rugs to Living Room Furniture to Throw Pillows, Art & Home dedicates itself to giving you access to the most beautiful furniture & decor so that you can create the home of your dreams. As a family owned and operated company, Art & Home knows how important it is to love your home. Buying from our retail partners is fast & worry-free. Just click on the Unlock Current Deal  button above to see the complete details, up-to-date pricing, and generate a shipping estimate to your address. We hope you enjoy browsing this remarkable collection as much as we enjoyed designing it.